First Floor 1023 sq. 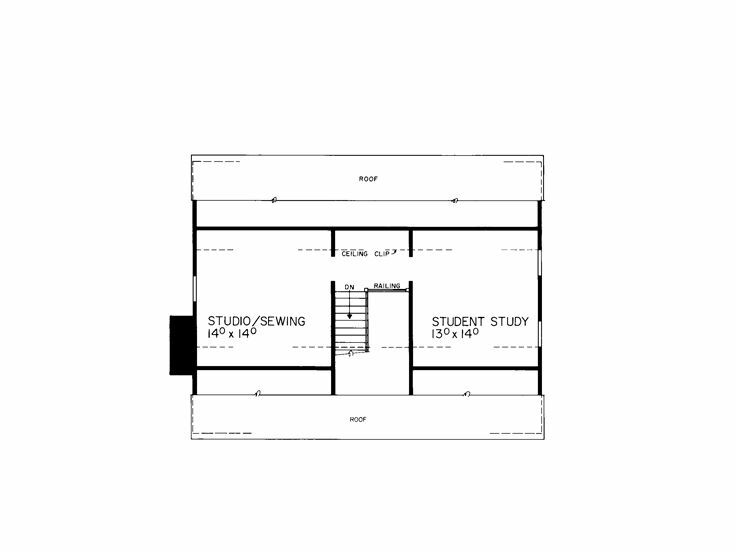 ft.
Second Floor 1008 sq. ft.
Third Floor 476 sq. ft.
Width 49 ft. 8 in. 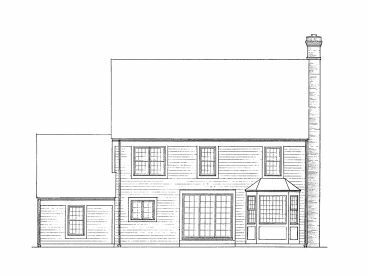 Reminiscent of the past, this exciting three-story house plan displays of creative mix of Colonial and Cape Cod styling while delivering a floor plan designed for today’s families. 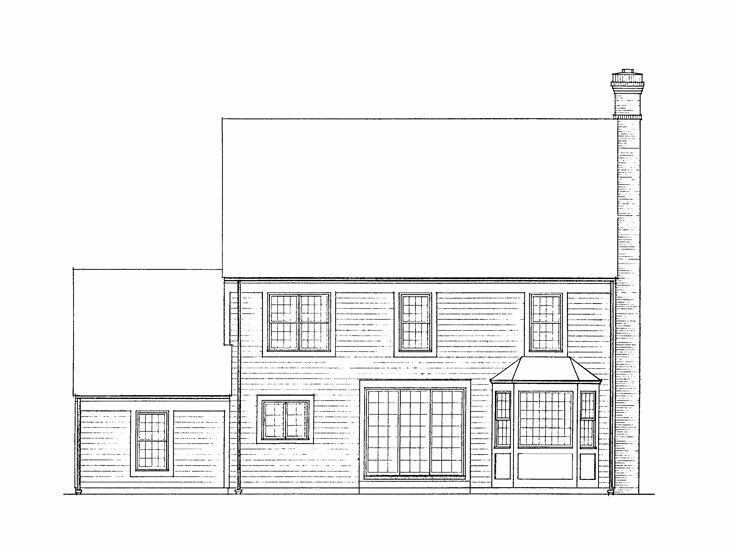 The exterior sports a simple roofline, siding façade and balanced arrangement of windows rooted in America’s historical past. 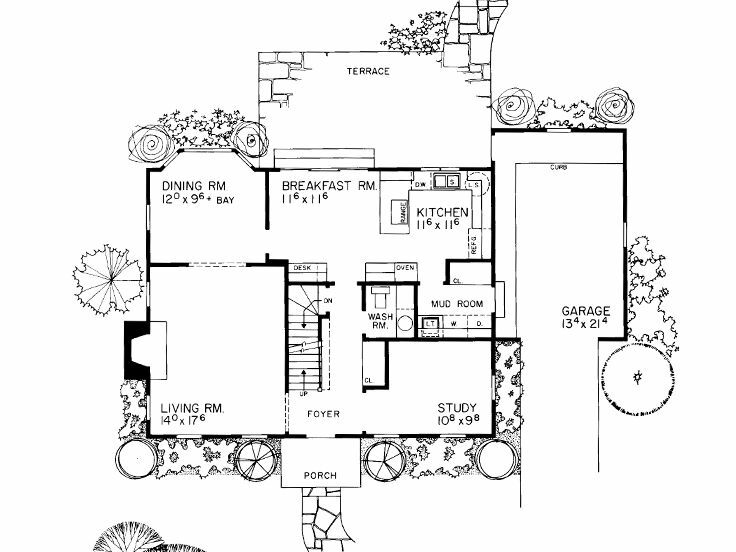 Now step inside where you’ll find a modern floor plan beginning with the roomy foyer and peaceful study to its right. 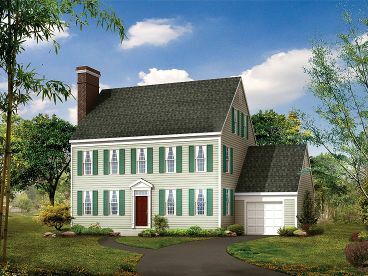 On the left, the hearth warmed living room is roomy and spacious accommodating everyday happenings and special holiday gatherings. Beyond, the dining room features a bay window with views of the rear yard. Take a look at the step-saver kitchen and breakfast room combo. Casual meals are a snap here, and the built-in desk is a thoughtful extra. 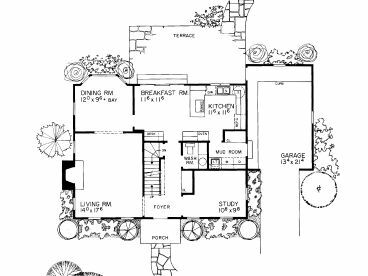 A half bath, the laundry/mud room and a 1-car garage complete the main level. Ascending the stairs, you’ll find the private spaces. 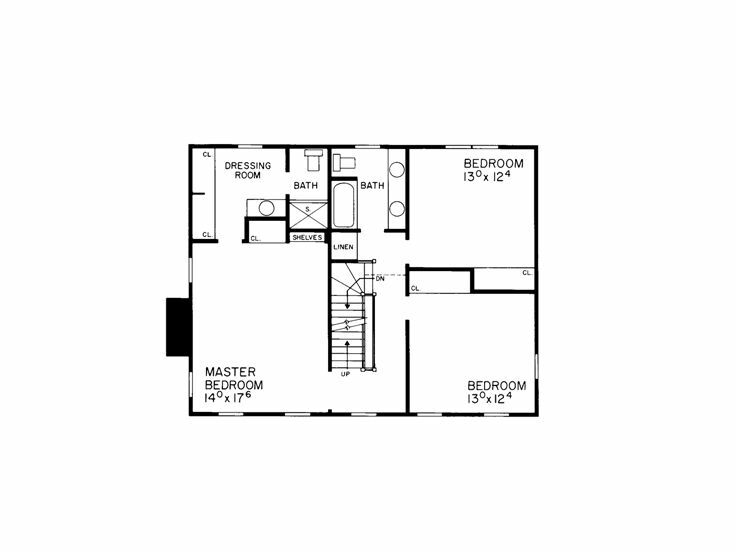 Here three bedrooms and two baths accommodate the family’s needs. 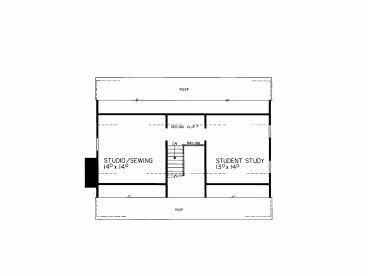 The third floor holds the student study area, perfect for the kids to work on homework assignments and school projects. 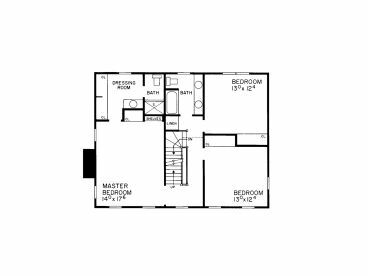 You’ll appreciate the studio/sewing room, ideal for crafts and hobbies, but it could easily convert to a recreation room the whole family can enjoy if you prefer. If you love homes with a sense of the past, this blended Cape Cod and Colonial house plan will give you that historic feel with modern day living.